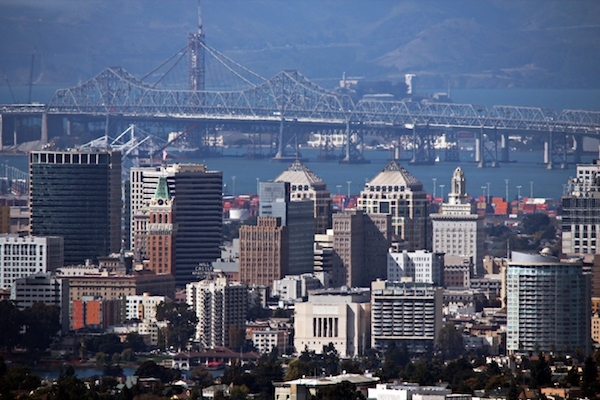 Is Oakland ready for its next big earthquake? Oakland North reporter Dara Kerr provided this comprehensive report in May, looking into how well Bay Area governments have prepared for a major quake, and how well Oakland’s housing stock is expected to hold up in a major disaster. After a quake, what will happen to the Bay Area’s water supply? Reporter Max Siegel finds out whether we’ll still have water service after a big quake. And finally, reporter Shannon Service asked a very good question: 20 years after quake, how green is the bridge retrofit? An Association of Bay Area Governments map of “soft story” buildings in Oakland; these buildings can be vulnerable to earthquake damage. Courtesy of ABAG.